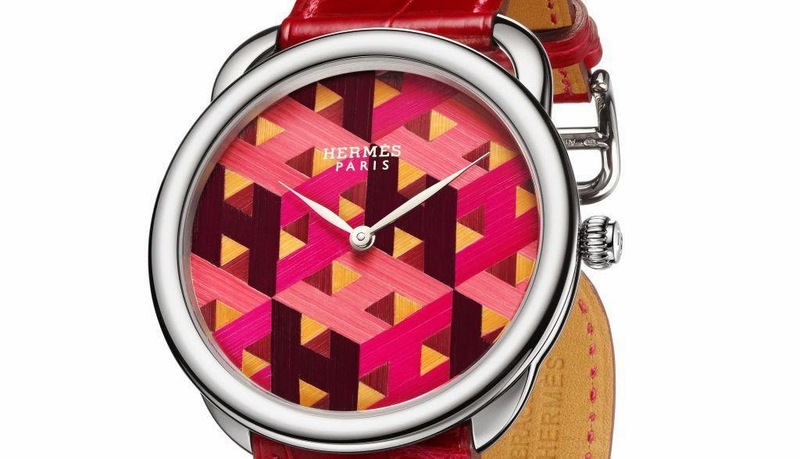 Swiss luxury watch maker La Montre Hermès makes use of straws to dress up their latest Arceau watch. 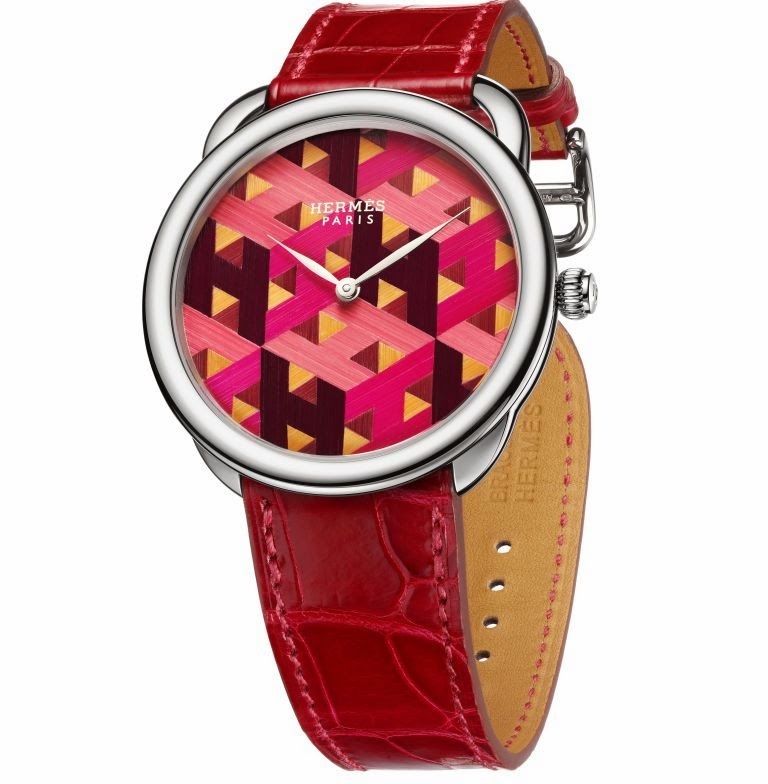 The Hermès Arceau H Cube features a stunning and colourful dial embedded with straws in iconic motif using the art of miniature marquetry. Straw is an extraordinary material: a long, smooth rye stem, from which the usable parts have been patiently selected. The plant, which is a variety cultivated on a single farm, is delicately scythed by hand and then dyed through. Successive baths followed by drying reveal brilliant and profound colours with subtle highlights. Combining the colours, shades and direction of the fibres of each strand, the craftsman patterns the straw marquetry that will constitute the dial of the watch. With infinite precision, he cuts each piece and assembles them one by one in an unimaginably small space, reproducing the tricks of perspective that characterise the H Cube motif – designed, like the Arceau watch, by Henri d’Origny. This geometric view, emphasised by a white gold case featuring a diameter of 41 mm and asymmetrical attachments, is powered by an H1837 Manufacture movement that can be admired the sapphire crystal case back. Decoration: Circular-grained and snailed mainplate, satin-brushed bridges and oscillating weight adorned with the special Hermès decoration (H symbols).